This workshop presented information regarding financing options for residential energy options. Presenters spoke on programs that were both affordable and feasible for Contra Costa County residents. We specifically looked at the particulars of AB 811, California First, and PACE (Property Assessed Clean Energy). Local Governments provided their insight on these programs and shared what was being done in their jurisdictions. The City of Richmond shared their current progress in joining California First and Contra Costa County shared their desire to get more City participants in the program as well. The City of Berkeley shared the results of their Berkeley First pilot program. Find other attendees’ contact information here . Please feel free to use the following documents as a template for your own Staff Reports or Resolutions. 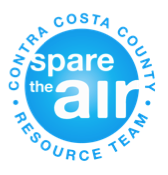 Please contact Jason (email: jason.crapo@dcd.ccounty.us) if you are interested in getting Contra Costa County involved in the California First program.